Operating rooms at St. John’s Regional Health Center, an acute-care hospital in Missouri, had been running at 100% capacity. When emergency cases—which make up about 20% of the full load—arose, the hospital was forced to bump long-scheduled surgeries. As a result, doctors often waited several hours to perform 2-hour procedures and sometimes operated at 2 a.m. Staff members regularly worked unplanned overtime. The hospital was constantly behind, according to this interesting article in Strategy + Business(Spring, 2104). The rather surprising solution: Leave one room unused. Crazy idea? The facility was already being squeezed, and now comes a recommendation to take away even more capacity? On the surface, St. John’s lacked operating rooms. But what it actually lacked was the ability to accommodate emergencies. Because planned procedures were taking up all the rooms, unplanned surgeries required a continual rearranging of the schedule—which had serious repercussions for costs and even quality of care. The key to finding a solution was the fact that the term unplanned surgery is a bit misleading. The hospital can’t predict each individual procedure, but it knows that there will always be emergencies. 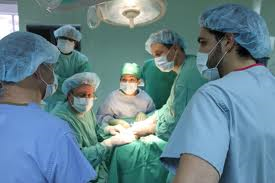 Once a room was set aside specifically for unscheduled cases, all the other operating rooms could be packed well and proceed unencumbered by surprises. The empty room thus added much-needed slack to the system. Soon after implementing this plan, the hospital was able to accommodate 5.1% more surgical cases overall, the number of surgeries performed after 3 p.m. fell by 45%, and revenue increased. And in the two years that followed, the hospital experienced a 7 and 11% annual increase in surgical volume.